Our school of photography offers various learning opportunities for all skill levels! Conveniently Located in NW Austin on Jollyville Road, right off US Hwy 183 near Duval Rd. Plus we offer some really fun destination photography workshops as well! 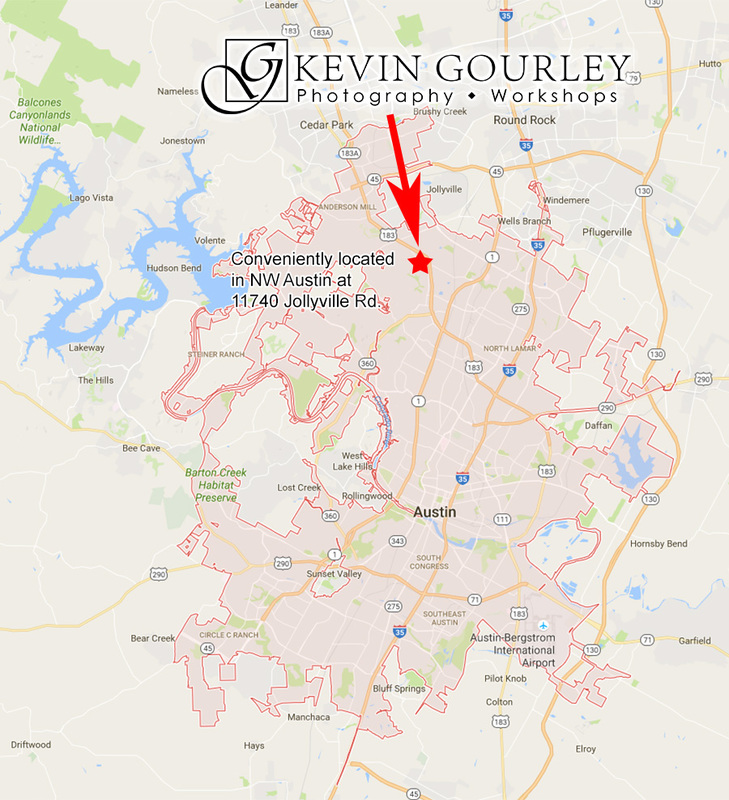 Kevin's popular classes attract students from the Austin area, plus neighboring communities such as Cedar Park, Leander, Liberty Hill, Round Rock, Pflugerville, Georgetown, Lake Travis, Lakeway, Killeen, Waco, Kyle, Buda, San Marcos, and the Texas Hill Country area. For his full day classes and occasional weekend classes, students come from as far as Houston, San Antonio, Corpus Christi, Waco, Dallas, and even Southern Oklahoma. Our Students Love Our Photography Classes! Click here for several great reasons! For all skill levels - Read more about the classes we offer.